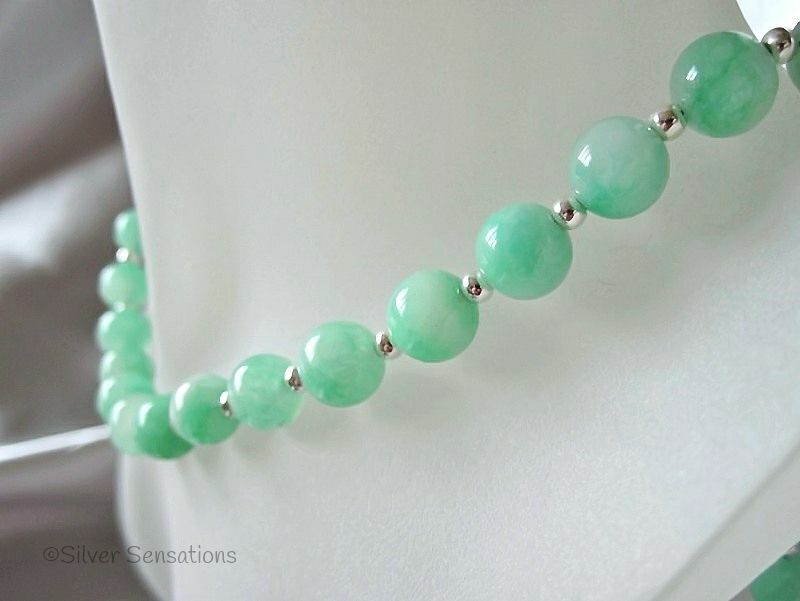 This lovely handmade necklace features Brighter Green Aventurine round 8mm beads. 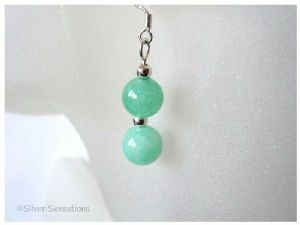 In between each Aventurine semi precious gemstone is a Sterling Silver seamless round bead & it is finished with a Sterling Silver bolt ring clasp fastener & fittings. 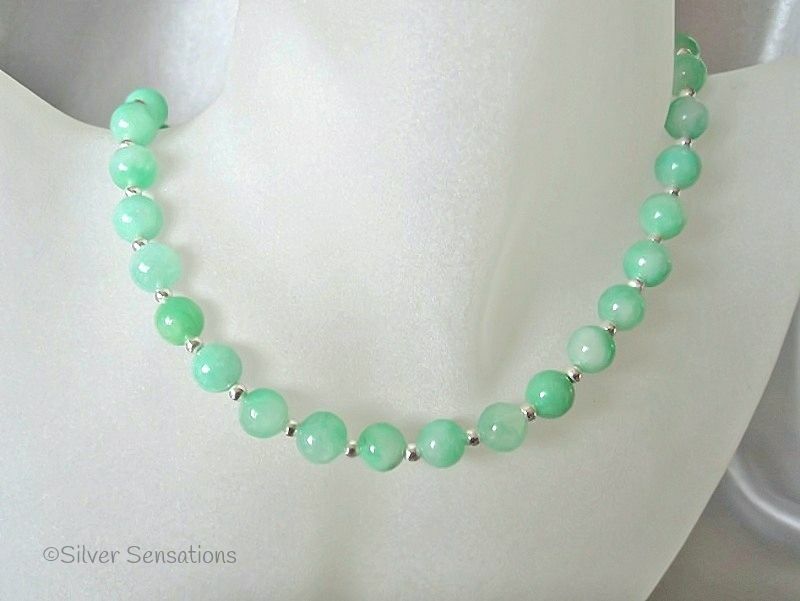 Measuring 18.5" in length, this necklace looks so pretty and is easily worn during the day and to any occasion. 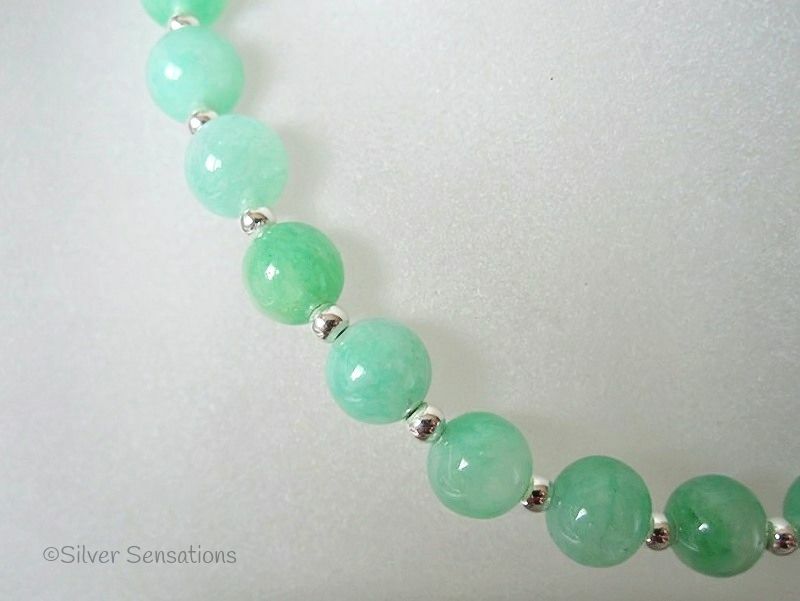 These Brighter Green Aventurine beads have very interesting shades within each bead, so make a change to solid coloured beads.